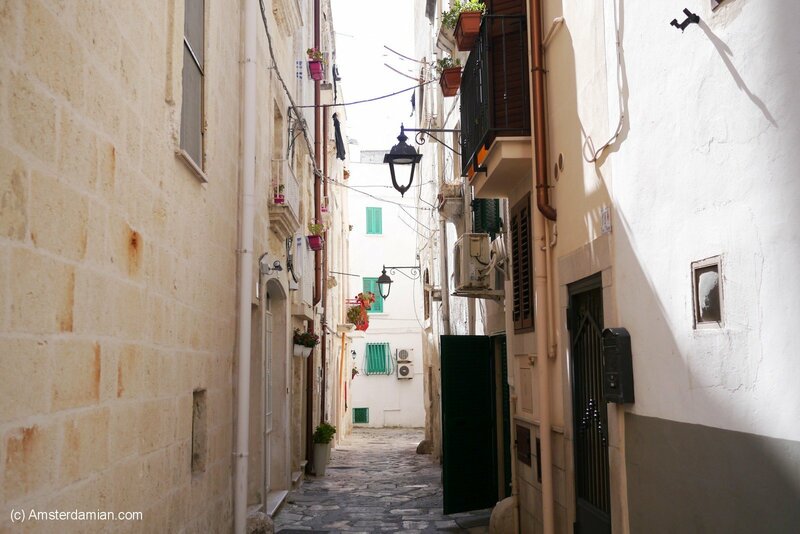 If you follow me on Instagram, you probably know that I just returned from a lovely week’s holiday in Puglia, Italy. 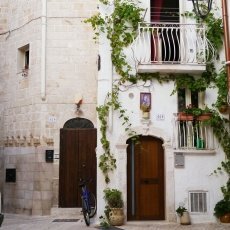 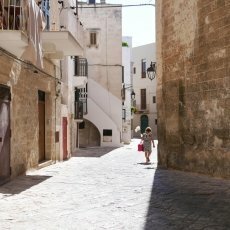 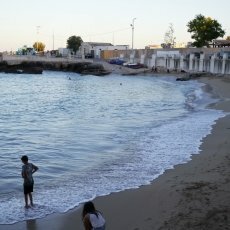 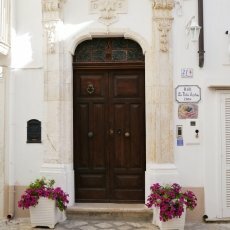 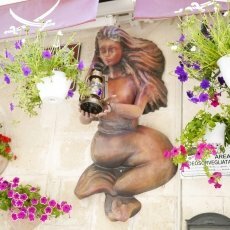 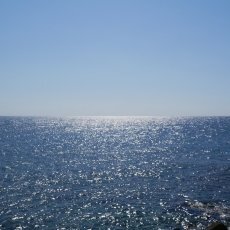 This was the second time I visited Puglia (the part of Italy that represents the “heel” of the “boot”), first time being two years ago, when I fell in love with its cosy little towns and blue seas. 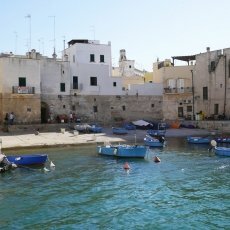 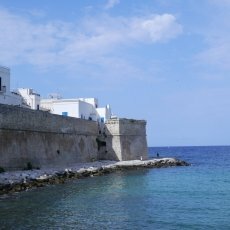 My plan was to go back to a few of the places I liked the most during the first trip (Lecce, Monopoli, Polignano) and to try to visit some new places as well. 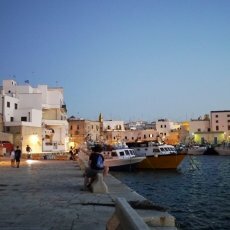 One week is obviously not enough time, so I had to skip Polignano, Ostuni and Gallipoli (again). 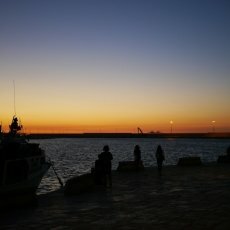 But that’s OK, I can always return. 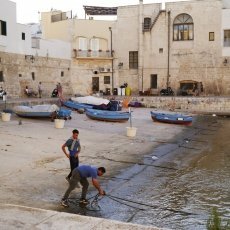 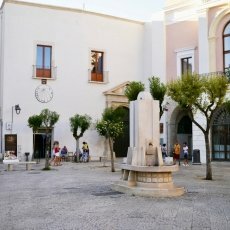 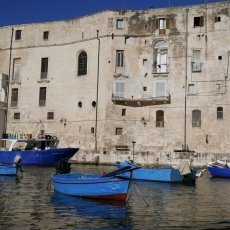 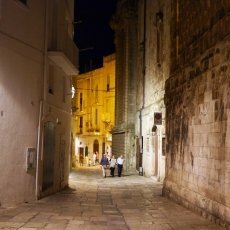 I took the plane to Bari, but I didn’t stop there, because I planned to have the first stop in the smaller and quieter city of Monopoli. 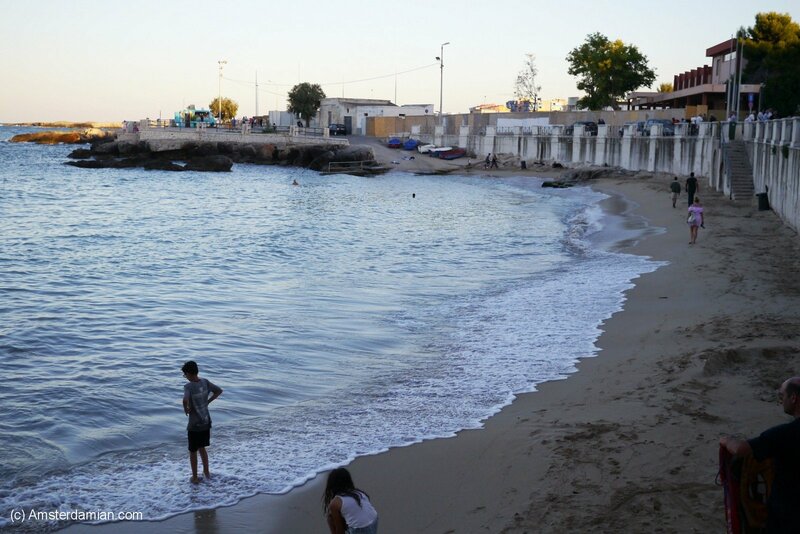 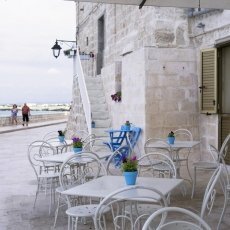 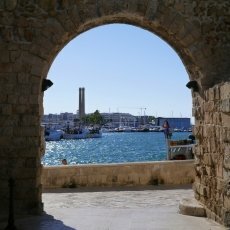 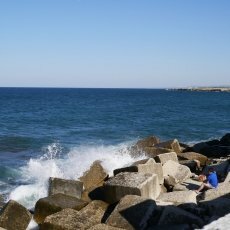 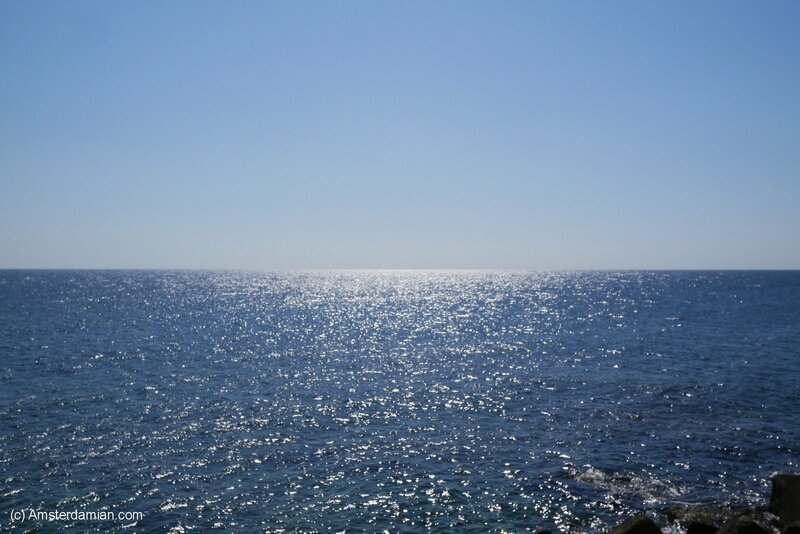 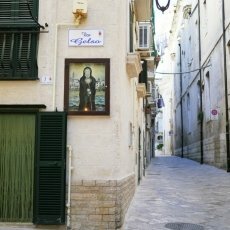 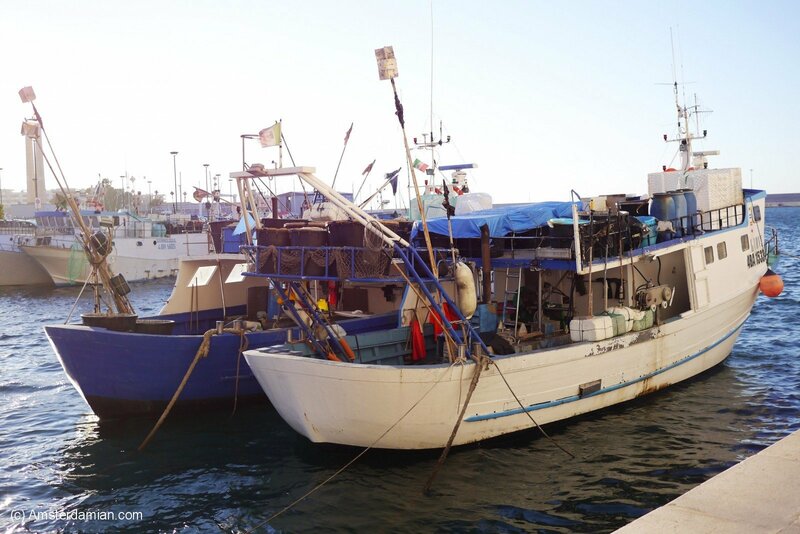 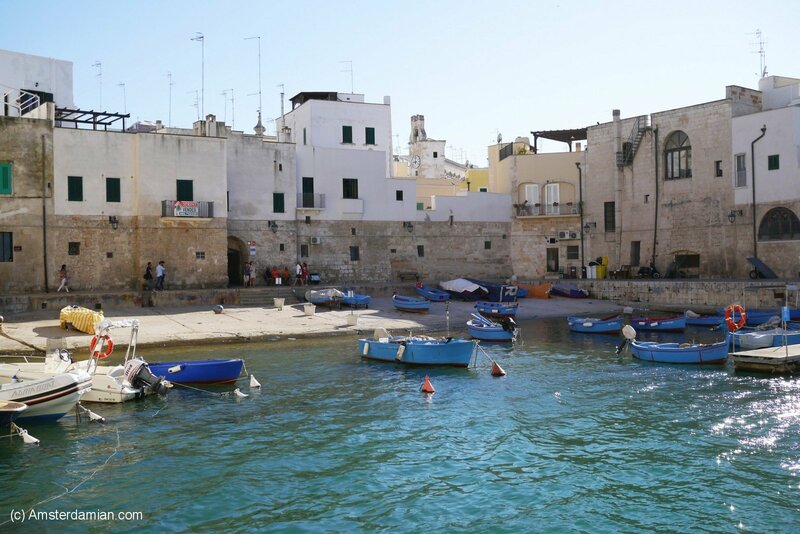 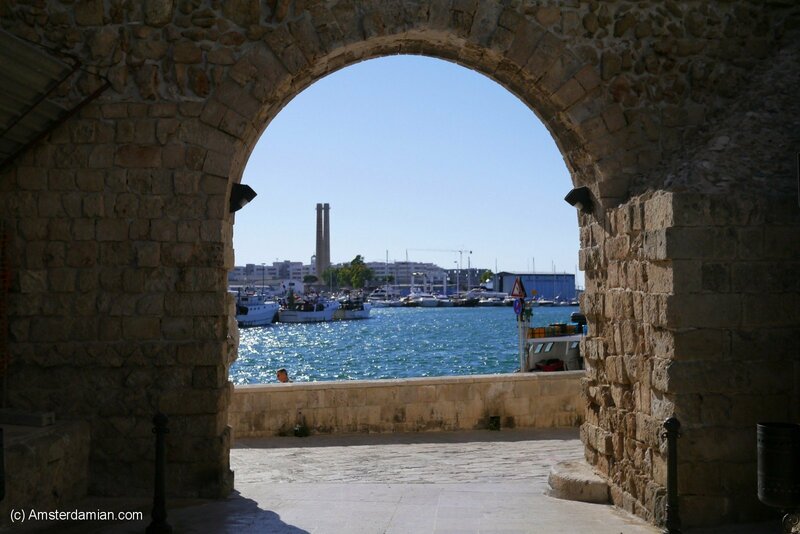 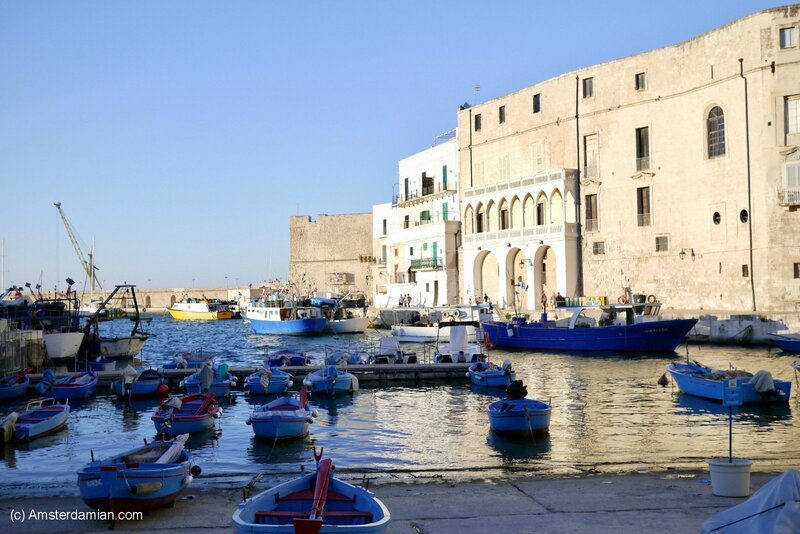 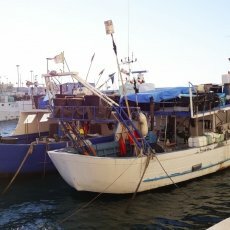 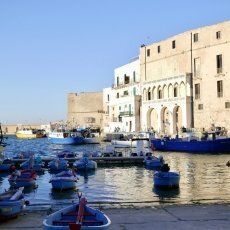 Situated on the Adriatic Sea, about 40 kilometres southeast of Bari, Monopoli is easily reached by train. 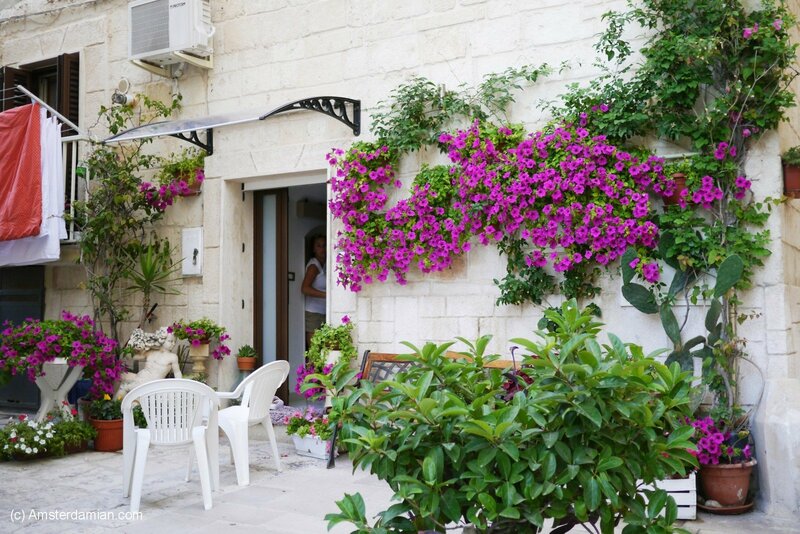 It’s a popular day-trip destination, but it can also be the perfect place to spend a few days of complete relaxation. 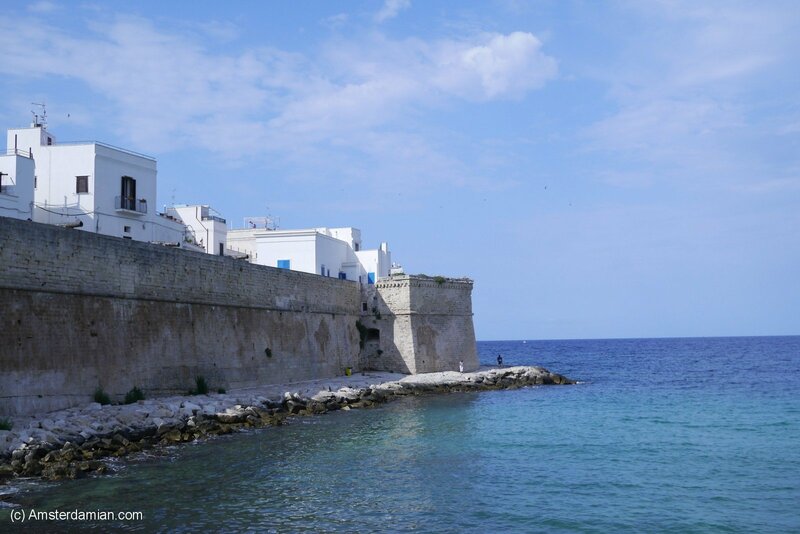 The whitewashed houses of the old town contrast beautifully with the shiny blue of the sea. 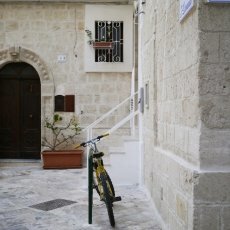 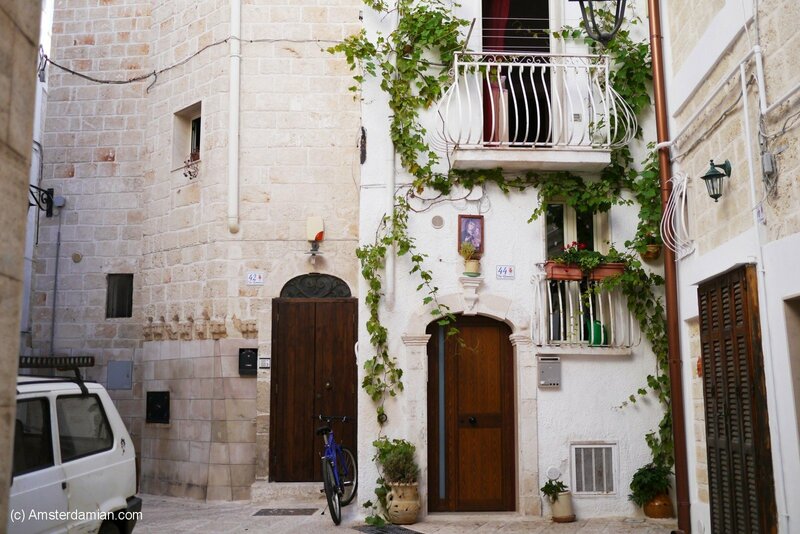 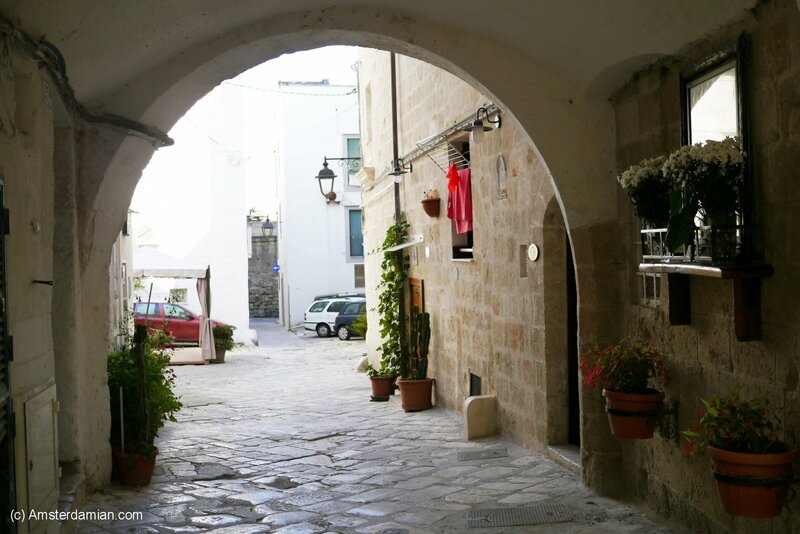 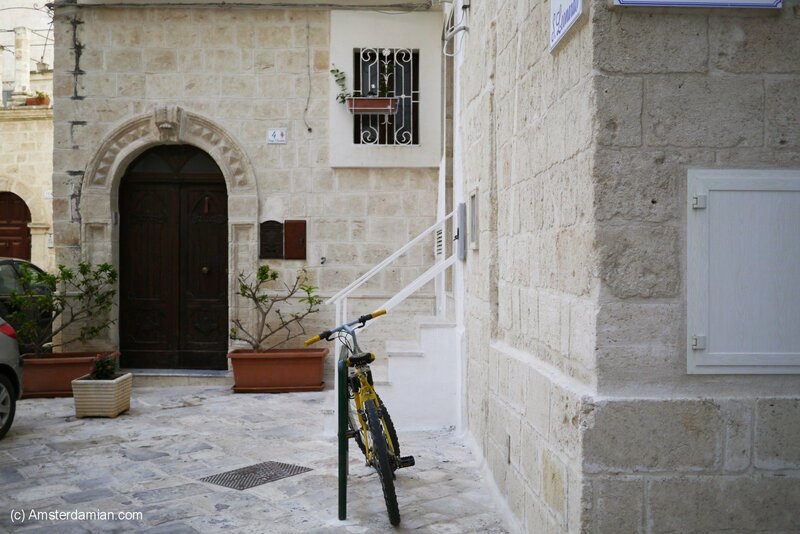 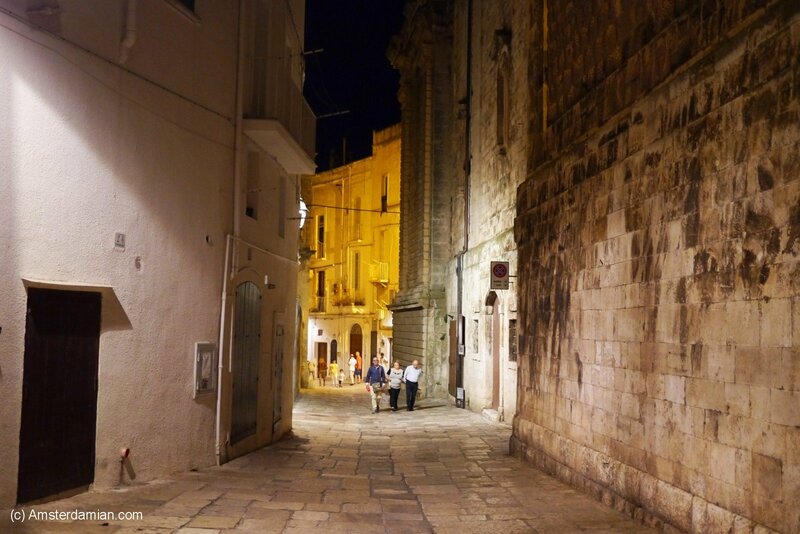 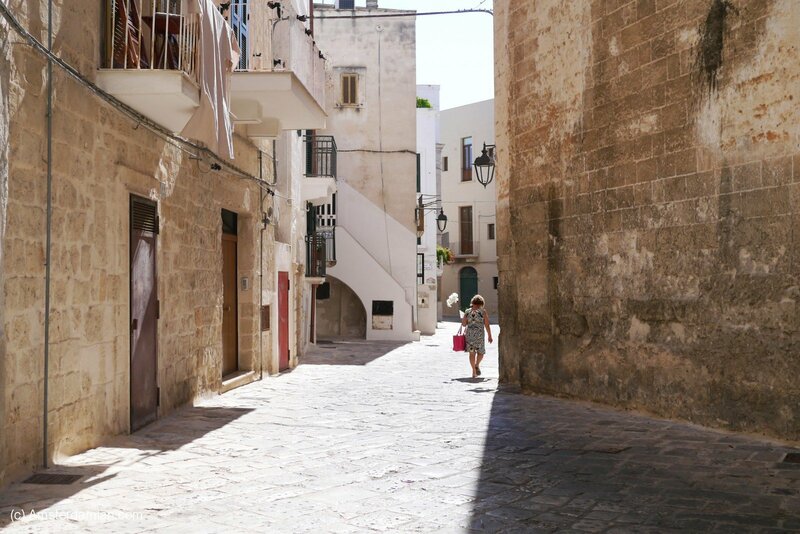 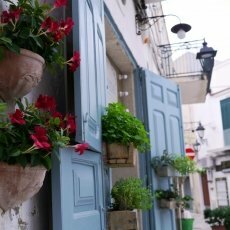 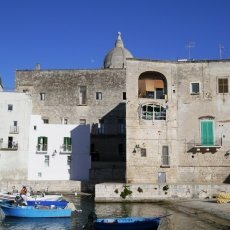 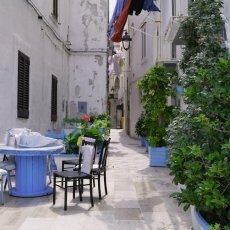 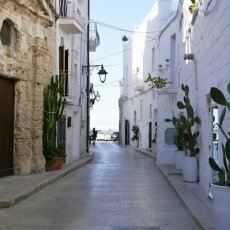 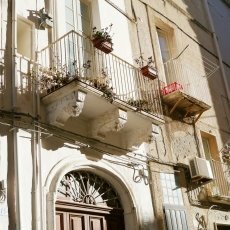 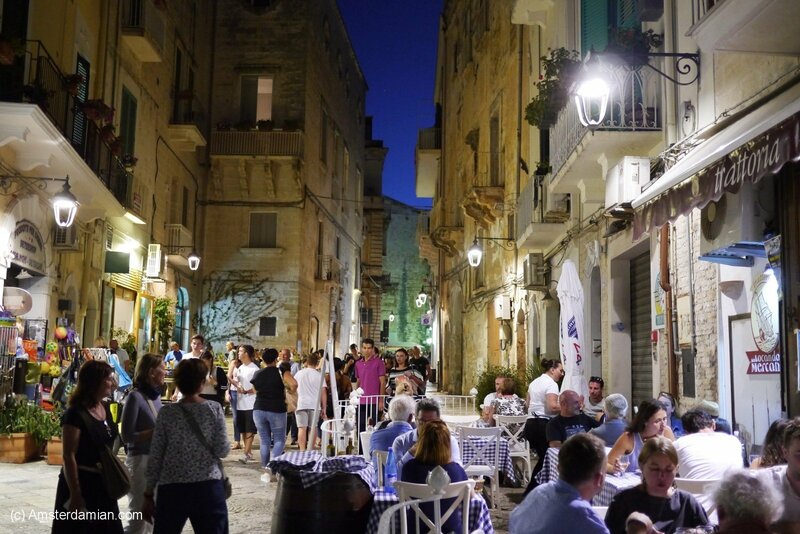 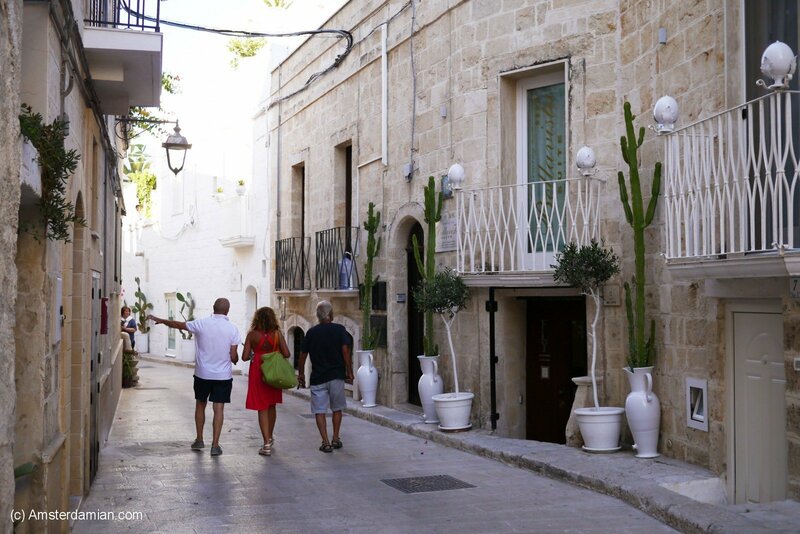 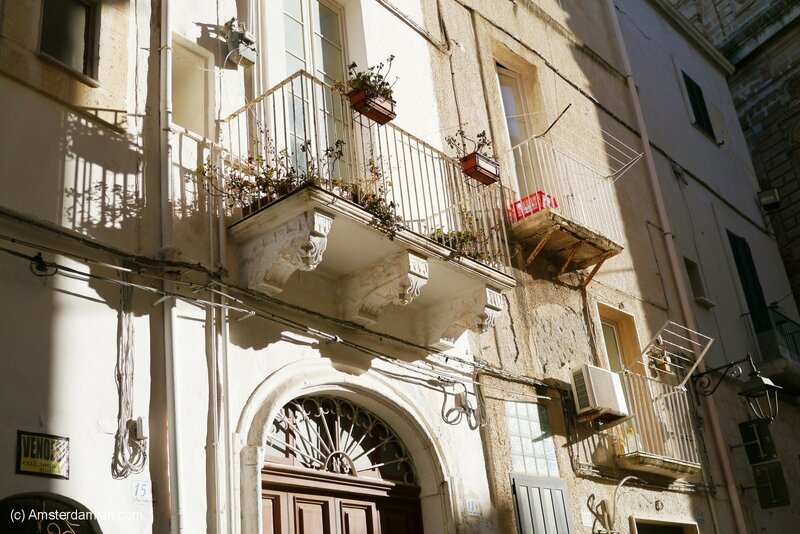 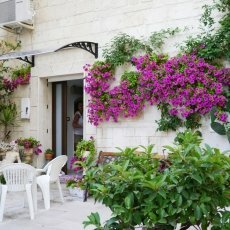 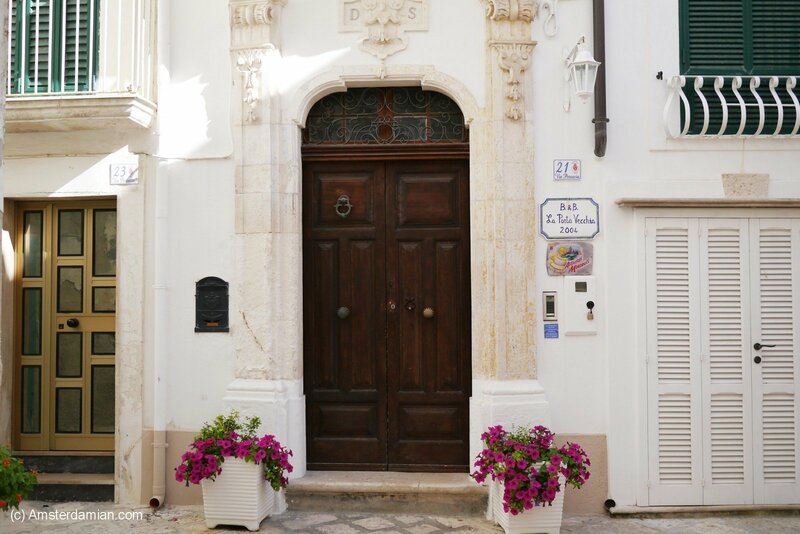 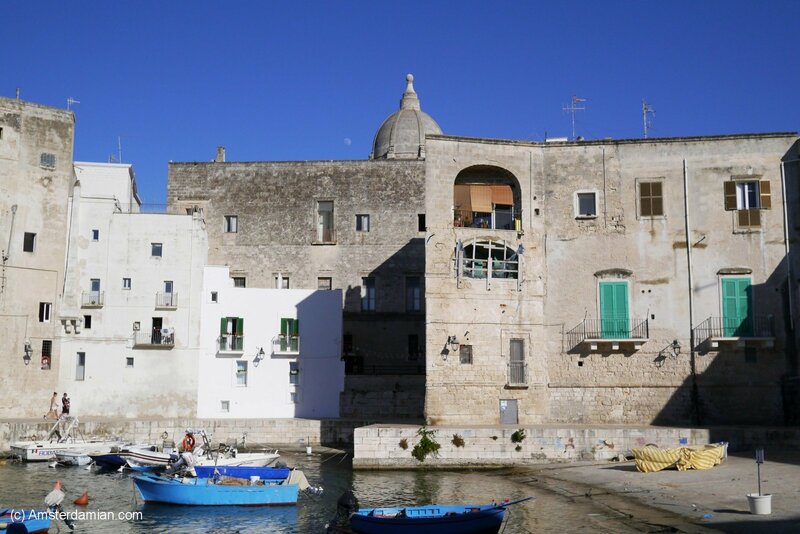 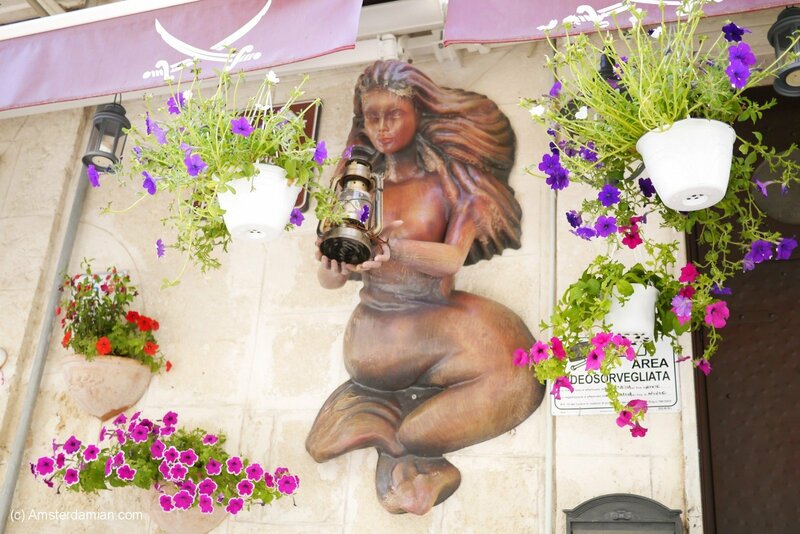 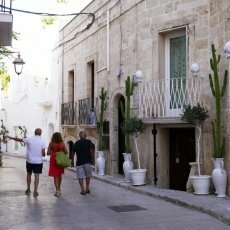 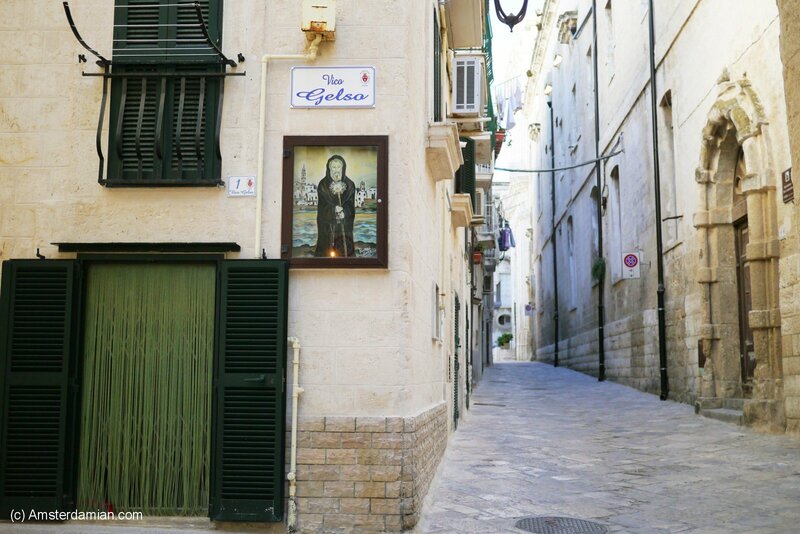 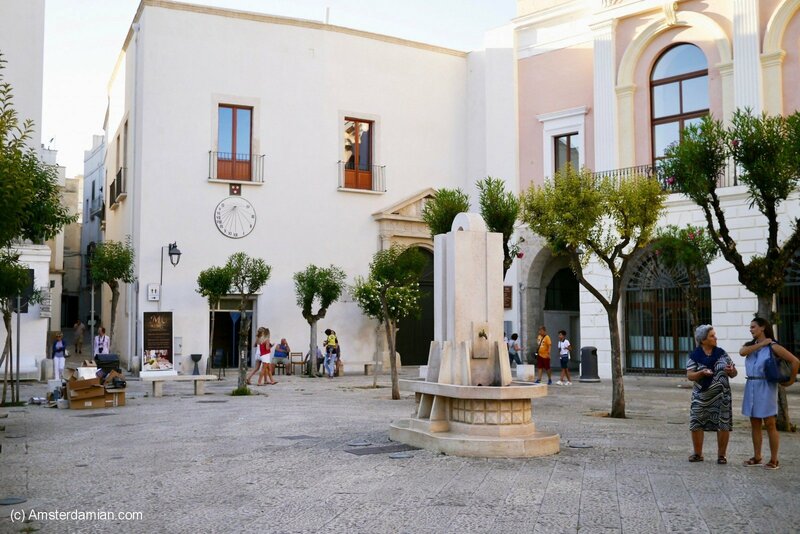 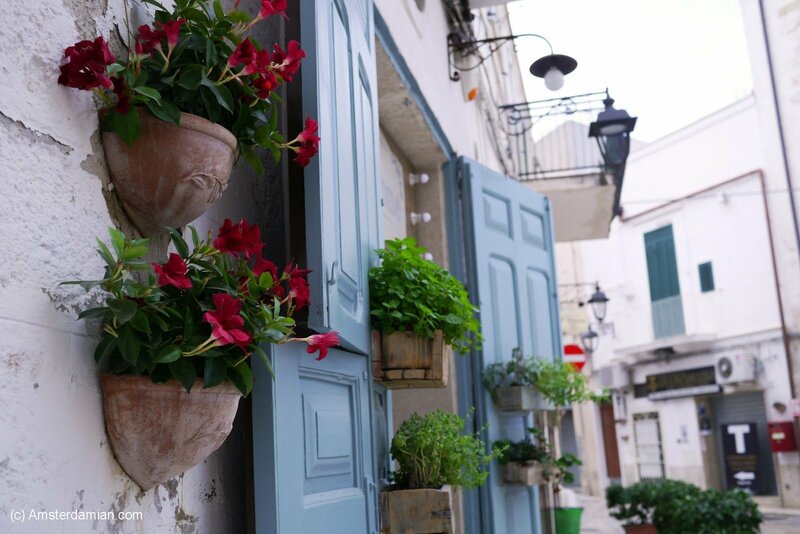 The old city is, like most Pugliese towns, a network of narrow alleys decorated with colourful flowers and huge cacti. 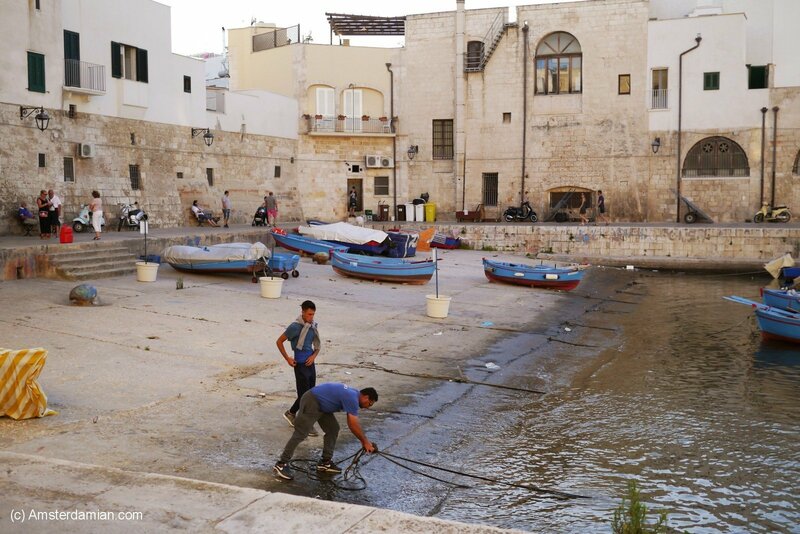 Here and there you will see laundry drying in the sun. 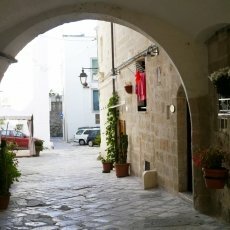 I arrived around lunchtime, when the streets are almost empty because everyone is hiding from the heat. 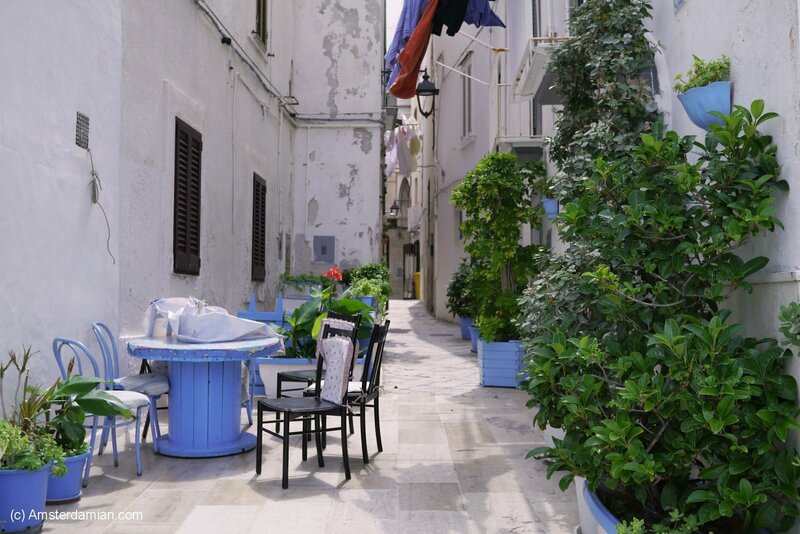 It’s quiet and you can only hear the sea splashing its waves onto the city walls, the occasional seagull or a few kids playing in a shaded corner. 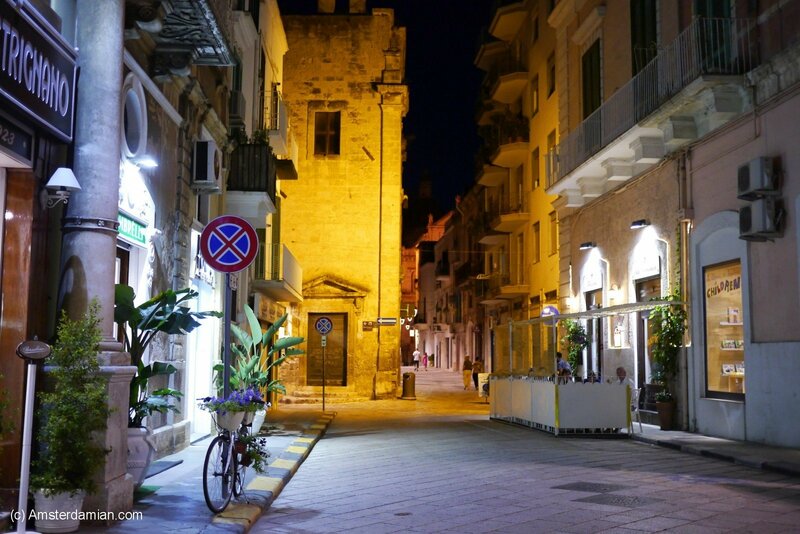 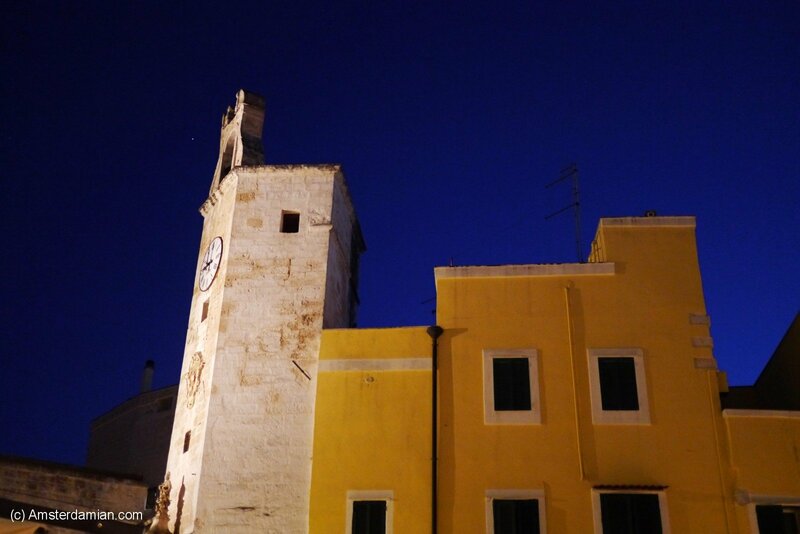 I checked in at the welcoming La Porta Vecchia B&B and hurried out for a walk. 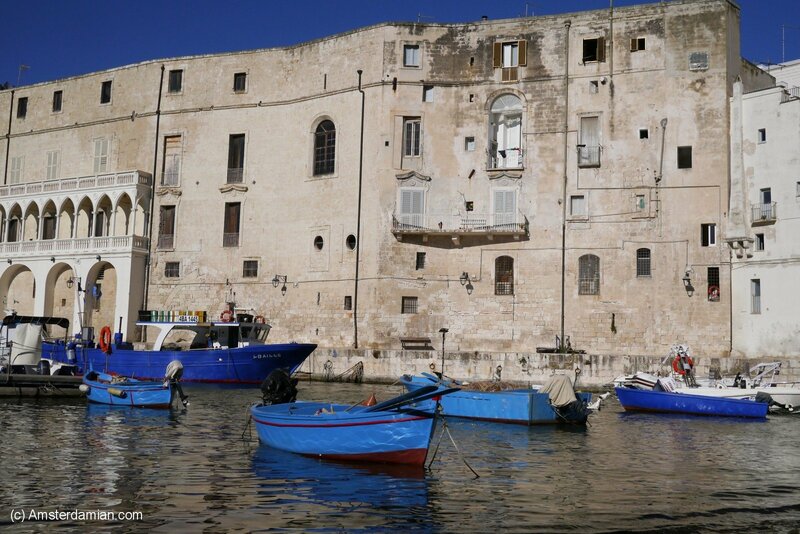 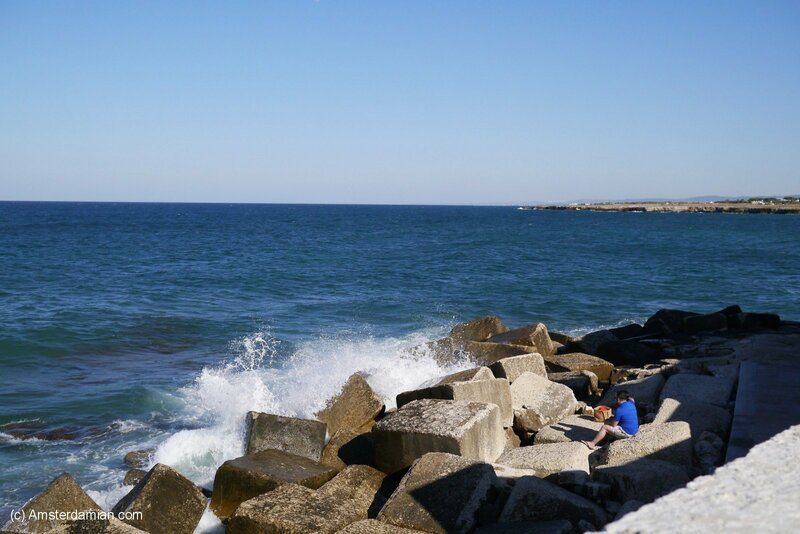 It was great revisiting the place, seeing my favourite spots again — the old harbour with the blue fishing boats, walking along the old walls of Monopli Castle, eating a delicious ice cream at the same place as two years ago and discovering it was still as good as I remembered. 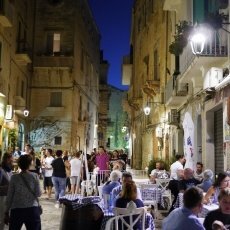 In the evening, the city is transforming: the restaurants are opening their doors, the streets are buzzing with people going out to enjoy a walk in the cooler night air. 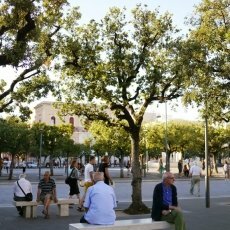 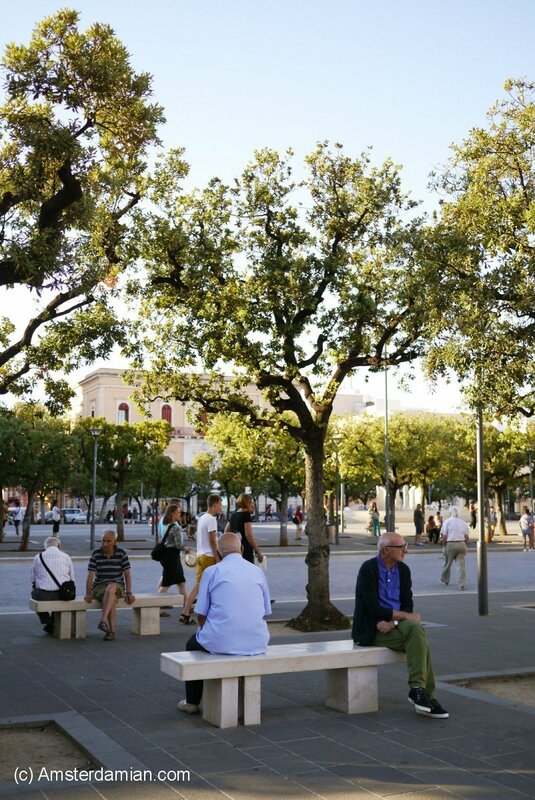 At first, before the sunset, the locals gather in the city’s main square, in the shade provided by the few trees. 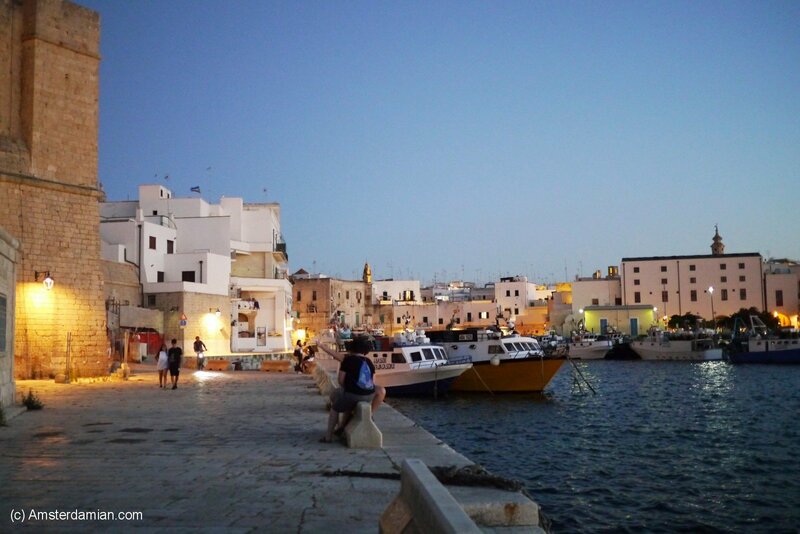 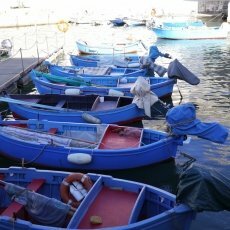 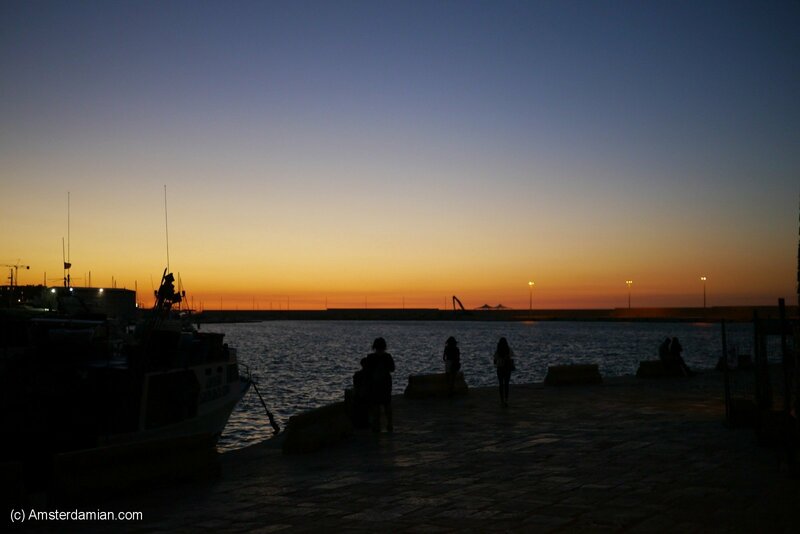 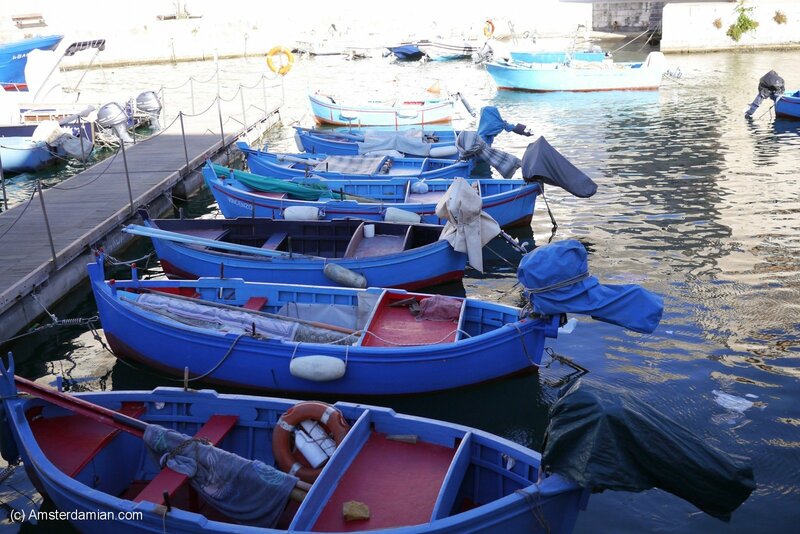 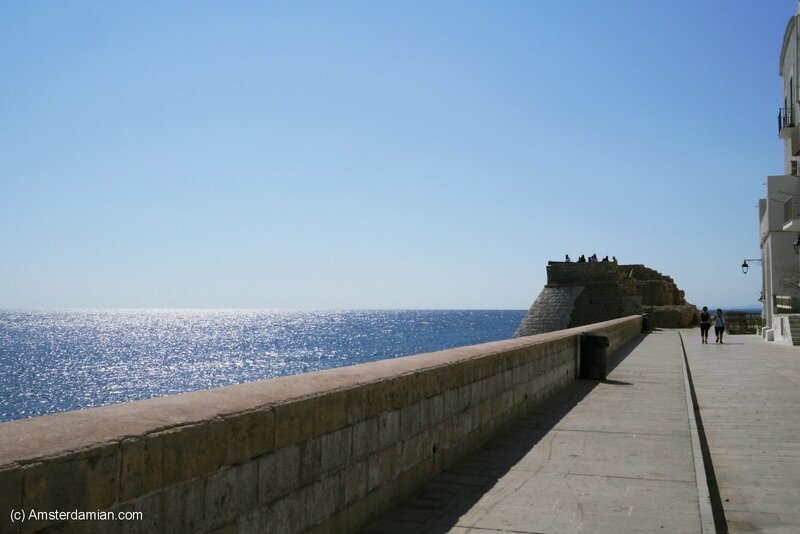 Then they start walking towards the old town, the harbour and the “lungomare” (the seashore promenade). 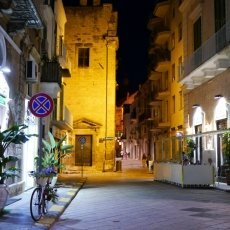 The streets will stay busy until late in the night. 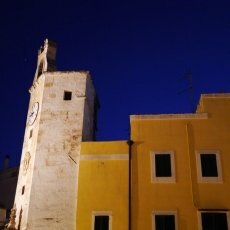 I was very tired but I could barely convince myself to call it a night and go to bed around 11:00 pm. 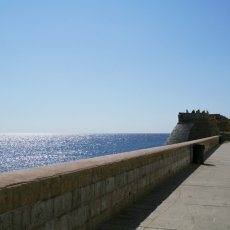 I knew I would get only a few more hours the next morning and I felt that I wanted to spend more time in this beautiful place. 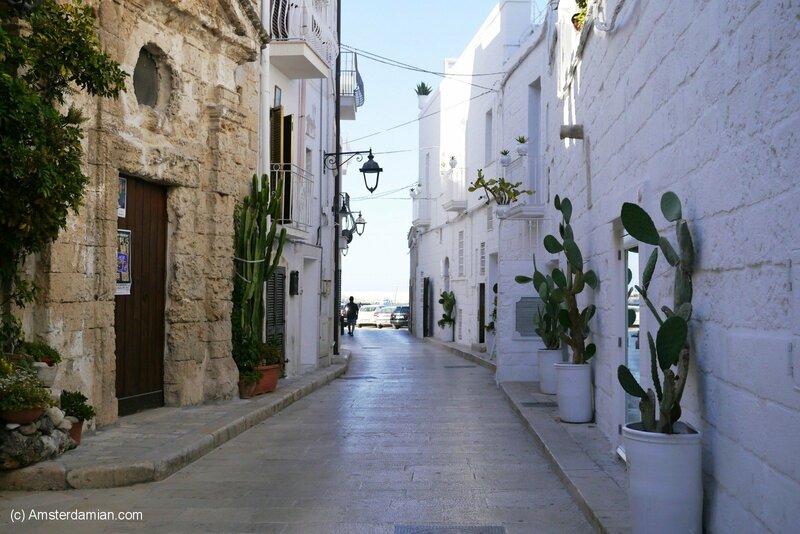 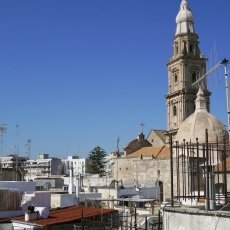 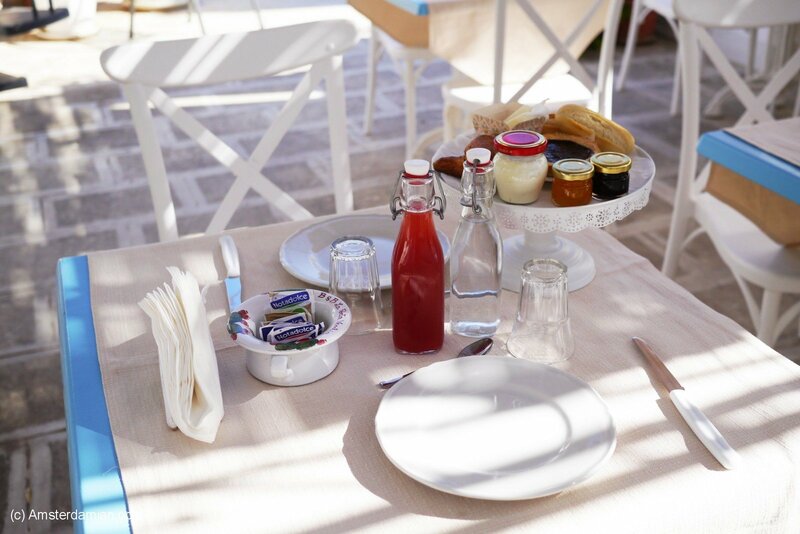 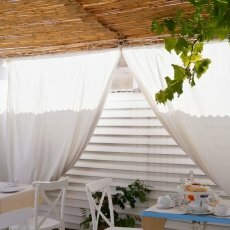 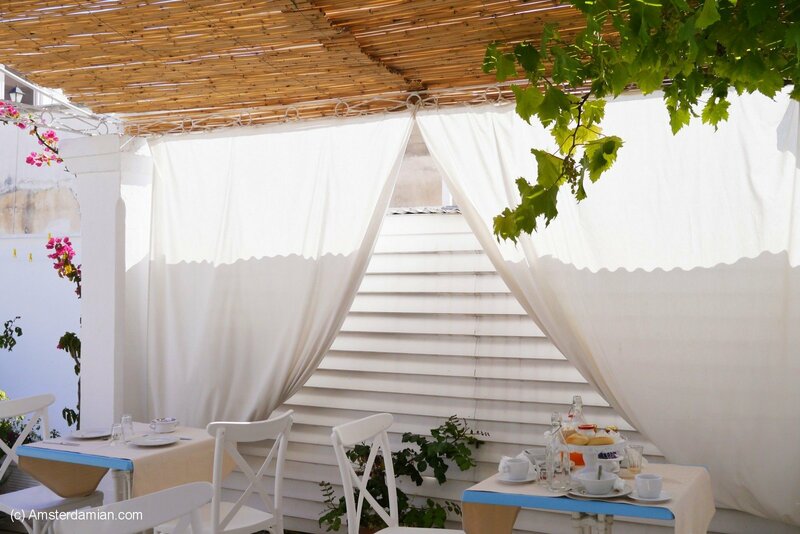 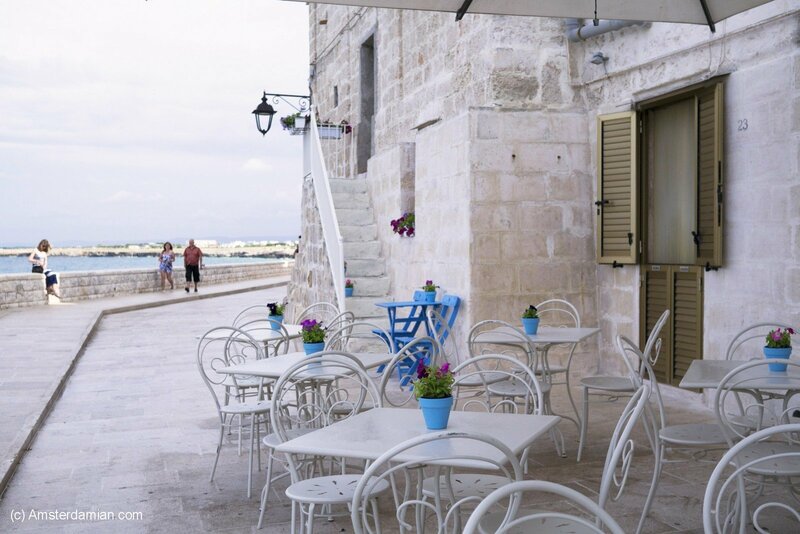 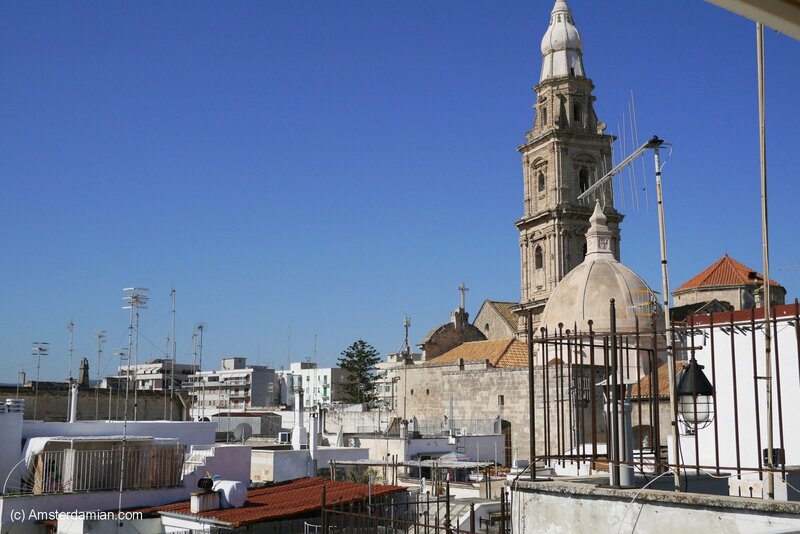 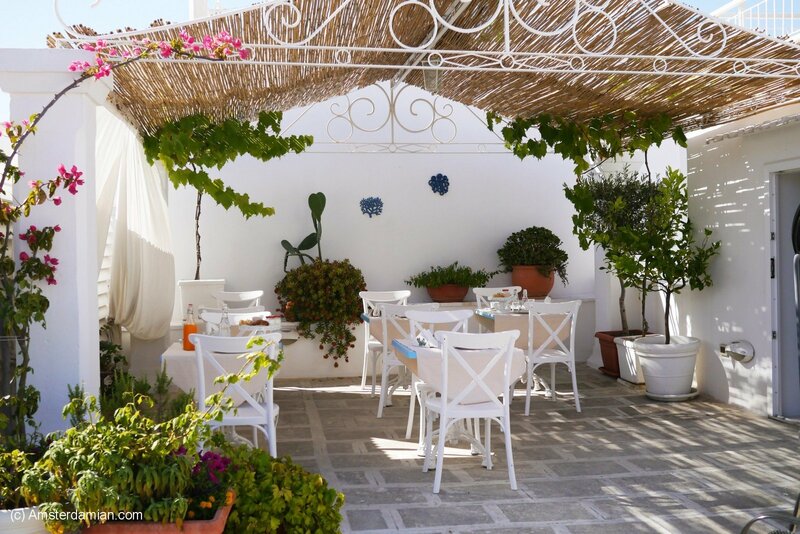 The next day I had a delicious breakfast on a roof terrace overlooking the city, devouring the home-made yogurt and jams that our host had prepared for us, while thinking I should come back sometime to spend more days in Monopoli. 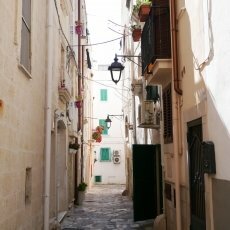 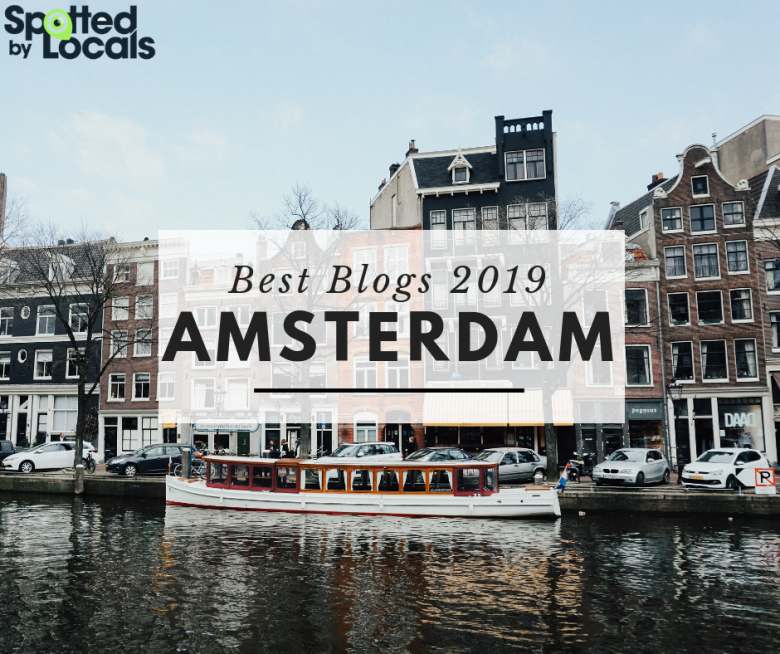 Then I did a final tour on my way to the train station, marvelling at how different the morning light was – clear and bright, compared to the yellowish light in the afternoon.